The FLIR DM284 is a great diagnostic tool for field electronics, commercial electric, light industrial, field service, and HVAC work. In the hand this unit feels ‘just right’ and has solid build quality to match. The DM284 is competitively priced and feature rich. The imager is easy to use, gives good clarity, and you don’t need to keep switching between modes as instrument readings can be overlaid onto the thermal image. Powered by a built-in 160x120 FLIR thermal imager with IGM, the DM284 visually guides you to the precise location of an electrical problem, helping you pinpoint ‘hot spots’ faster and more efficiently. IGM enables you to scan panels, connectors, and wires without requiring any direct contact — so you can do your job from a safe distance. 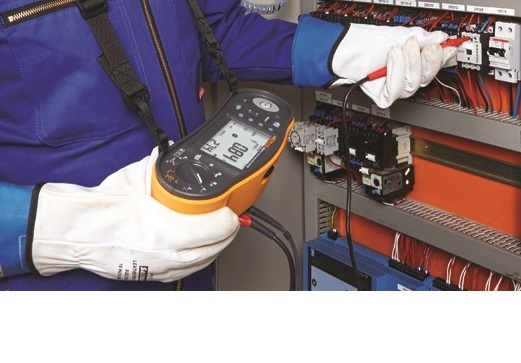 Once you find an issue with IGM, the DM284 can verify and confirm findings with advanced contact measurement features to help solve the most complex electrical issues. See exactly where to measure with the 160x120 resolution FLIR thermal imager. All-in-one tool – carry just one device and always have access to thermal imaging. 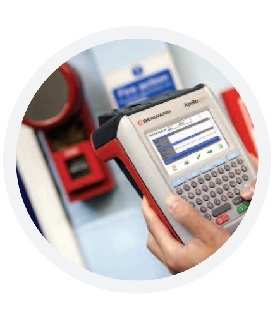 Scan a panel or cabinet for hazards using IGM without direct contact. 18-function DMM including VFD mode, True RMS, LoZ, and Non-Contact Voltage (NCV) indication. Dual Mode allows you to see DMM readings and thermal images together at the same time on the screen. View thermal and electrical thermocouple measurements simultaneously. Built-in work-lights and a laser pointer help you access difficult locations with lighting issues and pinpoint the location of the problem in the thermal image. Simple user interface and various thermal colour palettes to choose from: Iron, Rainbow, Greyscale. Compatible and flexible as you can use generic current clamps with the DM284. Durable and 3m drop tested with 3yr product warranty and 10yr detector warranty.